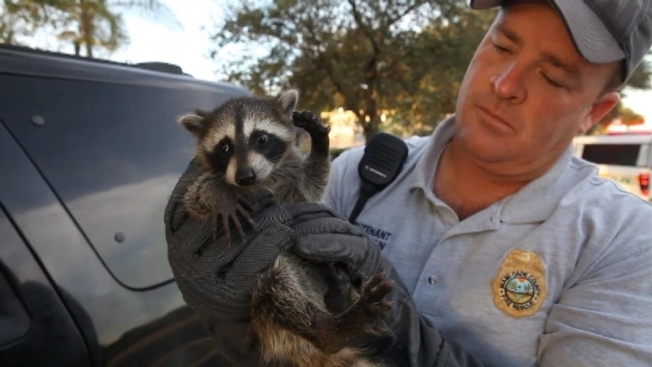 A baby raccoon that got stuck in the tire rim of an SUV got a helping hand from a Miami-Dade Fire Rescue worker Thursday. Footage showed Lt. Scott Mullin from the Fire Rescue Venom Response Team help free the trapped baby raccoon from the rim. Mullin tried to set the tiny raccoon free but it followed him a couple times until it finally crawled away frightened but uninjured.